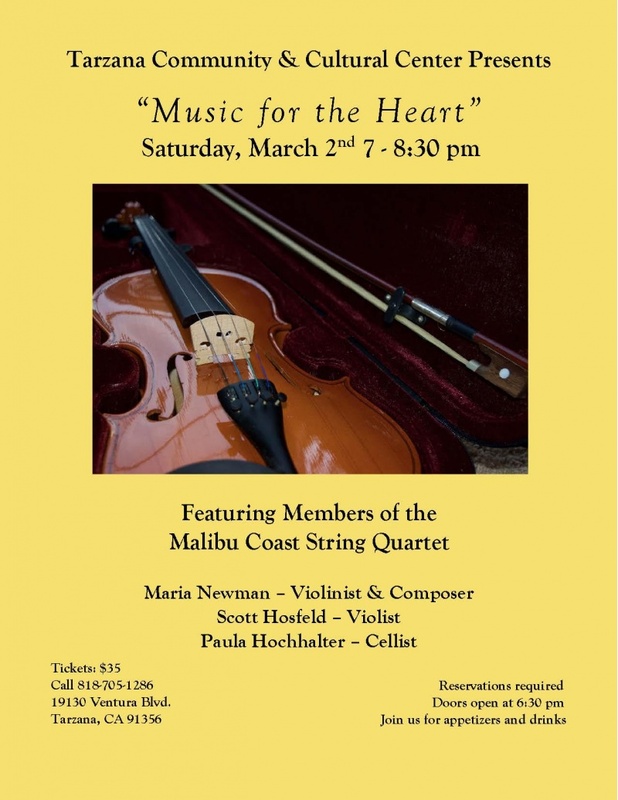 Members of the Malibu Coast String Quartet return to the Tarzana Community & Cultural Center on Saturday, March 2 to perform a concert of passionate and romantic pieces by Beethoven, Bach and Maria Newman. Newman also performs on violin, along with violist Scott Hosfeld and cellist Paula Hochhalter. Tickets are $35 and include beverages and appetizers. Call 818-705-1286 to reserve tickets.